THIS IS A HORSE LOVER'S DREAM! 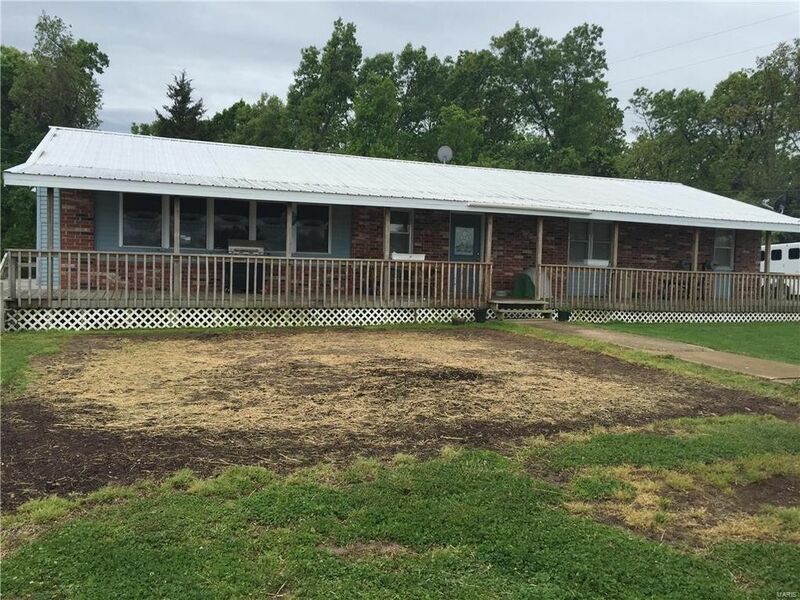 THIS 54+ ACRE PROPERTY WITH 2 PONDS FEATURES A 50 X 110 BARN/INDOOR RIDING ARENA WITH A 20 X 50 ENCLOSED HAY SHED AND A 30 X 80 AREA WITH A WASH AREA. THIS BARN HAS 13 HORSE STALLS. THE BARN HAS A CONCRETE FLOOR AND BUILT WITH STEEL TRUSSES. THIS BARN IS HEATED FROM A WOOD HEATER WHICH ALSO HEATS THE HOME. THERE IS NEW PAINT ON THE BARN. IN ADDITION TO THE LARGE BARN, THERE IS ANOTHER BUILDING THAT IS 40 X 60 AND ALL INSULATED. EXTRA LIVING QUARTERS ON THE PROPERTY THAT HAS A KITCHENETTE, BATHROOM WITH CENTRAL AIR. OWNERS BAILED OVER 400 HAY BAILS IN 2015! EXCELLENT SOURCE OF EXTRA INCOME!THE REMODELED HOME HAS 2000 SQ FT ML OF LIVING SPACE THAT INCLUDES 3 BEDROOMS, 3 BATHS, A VERY LARGE OPEN LIVING DINING KITCHEN AREA WITH NEW GRANITE COUNTERTOPS AND BACKSPLASH INSTALLED IN 2016, PLUS AN OFFICE. ADDITIONAL BUILDINGS HAVE BEEN USED AS DOG KENNELS.NEW HEAT PUMP JULY 2016. Elementary School: Long Lane Elem. Directions: FROM 1-44, TAKE THE CONWAY EXIT (EXIT NUMBER 113). TURN RIGHT ONTO STATE HWY Y. CONTINUE STRAIGHT ONTO STATE HWY M. SLIGHT RIGHT ONTO STATE HWY B. TURN RIGHT ONTO LATIMER (CO RD B-215). 110 LATIMER ROAD.